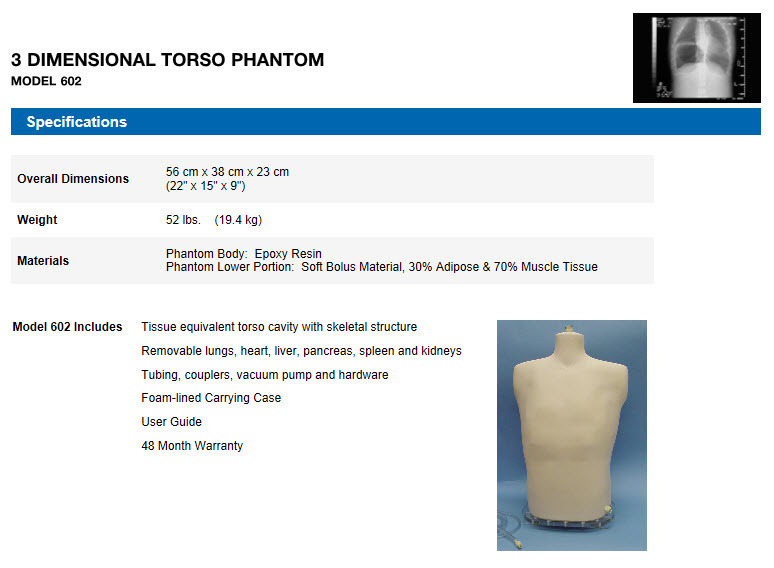 The CIRS Anthropomorphic Torso Phantom is designed to provide an accurate simulation of an average male torso for medical imaging applications. The removable organs enable flexibility in the placement of TLD’s, contrast agents, etc. The epoxy materials used to fabricate the phantom provide optimal tissue simulation in the 40 keV to 20 MeV energy range. The phantom simulates the physical density and linear attenuation of actual tissue to within 2 percent in the diagnostic energy range.